Do you feel like you have tried every diet, meal plan, and lifestyle change out there? Do you feel like you are in a worse spot than when you began? You’re probably frustrated and confused with all the nutrition information available and the latest fads. There are so many rules, guidelines, and restrictions that you don’t even know what to eat anymore. Heck, you might even feel anxious every time you eat. Not to mention the guilt and shame you may experience on a daily basis. Healthy eating feels out of reach, unrealistic, and with each attempt you end up hating your body more and more. I understand what it’s like to live in a society constantly telling you what to eat, how much to eat, and what your body should look like. 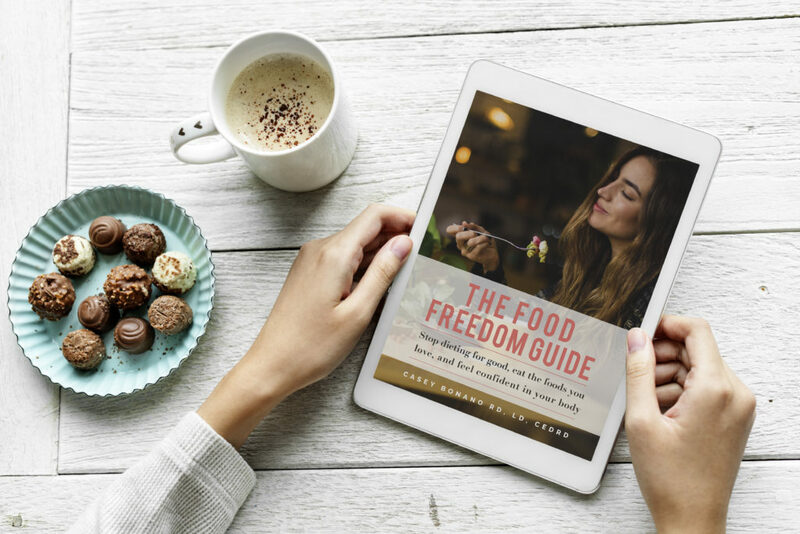 What if you could sit down, read an easy and straightforward ebook, follow the advice of a seasoned dietitian working specifically with your struggles, and then begin to see your thoughts, behaviors, and relationship with food completely change? Well, it isn’t if you follow the right advice, retrain your brain how to think about food, and learn how to listen to your body signals. Your nutrition is actually more related to how, when, and why you eat and less about what you eat. 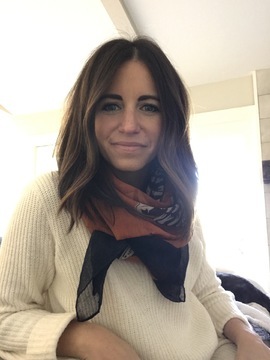 My name is Casey Bonano and I am a Registered Dietitian and a Certified Eating Disorder Registered Dietitian. I’m specifically trained to help individuals remove guilt, shame, and anxiety from eating, reduce disordered behaviors, and increase body confidence. My lifelong goal is battling diet culture, and I have a true passion for helping people improve their nutrition through a realistic and practical approach. At my Dallas-based private practice, I spend thousands of hours each year helping people, exactly like you, improve eating habits and body confidence. After 8 years in the field and in my own private practice, I see that the information provided to most people is, at best, not helpful, and at times downright harmful. I have witnessed first-hand the side effects of diet culture, nutrition misinformation, and disordered food behaviors sitting in my office every day, and I’ve had enough! 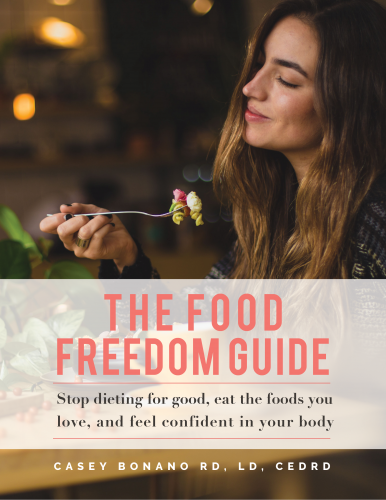 That’s why I wrote, The Food Freedom Guide – Stop dieting for good, eat the foods you love, and feel confident in your body. Stop dieting for good, eat the foods you love, and feel confident in your body. My ebook gives you all the dirt on why the most popular diets don’t work and teaches you the secret to structuring meals and snacks in order to feel full and satisfied. As a bonus, I have included my carefully crafted snack list with endless combinations. 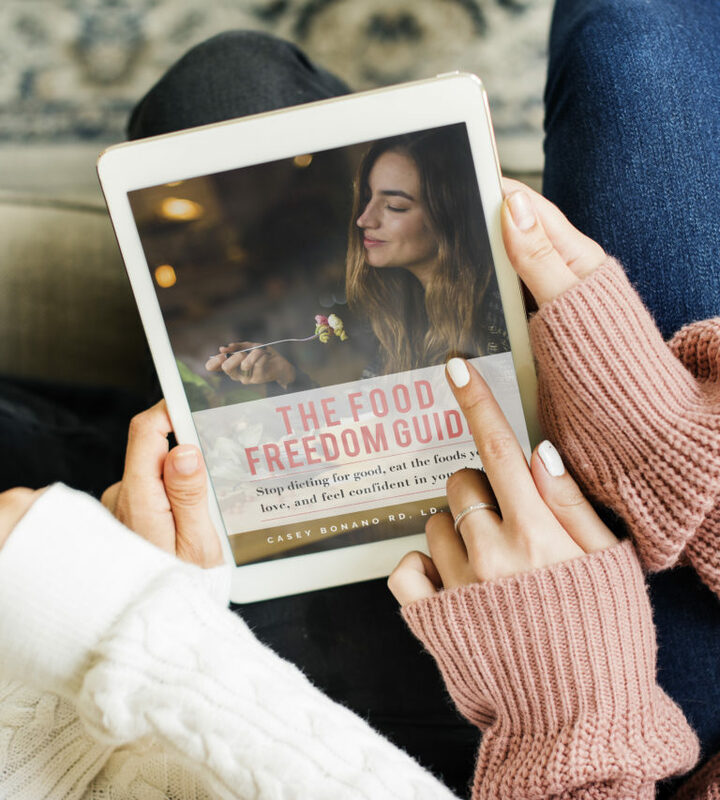 The Food Freedom Guide provides you with accurate nutrition information that relates to YOU and YOUR lifestyle. I tell you which nutrition messages you need to listen to and how to retrain your brain to think about food. That’s right, no more obsessing about food. Think about how much free time you’ll have! This book walks you through real-world solutions to chronic dieting, anxiety with food, and body dissatisfaction. And the best part - you never have to give up the foods you love again. That’s right. No dieting, no measuring, no counting, and no more feeling deprived. Learn how to portion-control naturally by listening to your body, and learn how to increase your satisfaction by utilizing the specific exercises on mindfulness. 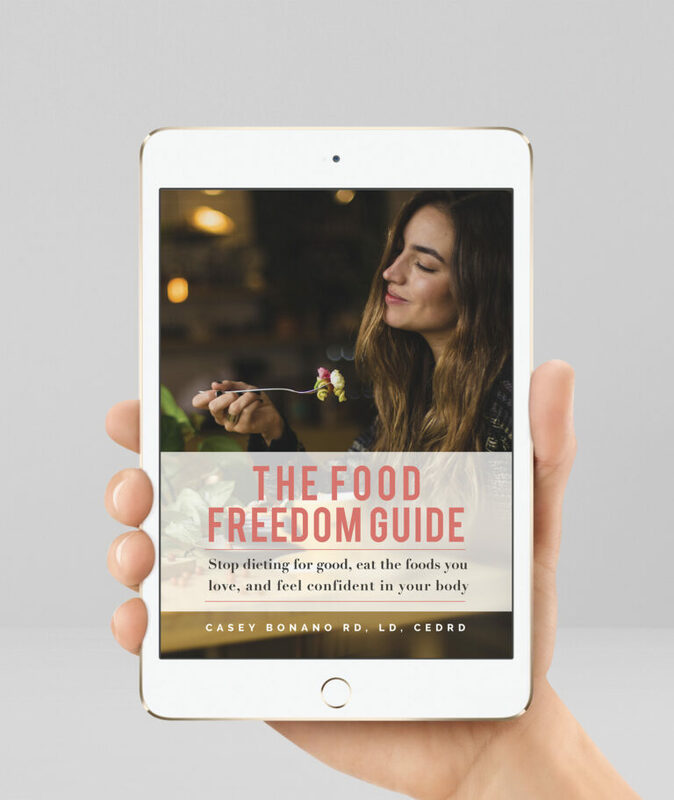 Learn simple, practical and healthy habits to gain the ultimate food freedom! You no longer have to feel confused about your behavior with food. We dig deep and see exactly what needs to change and how best to change it, by providing you with specific skills, tools, and exercises. So many individuals have already found food freedom. Are you next? Improve your eating, increase healthful behaviors, and increase body confidence. My guide offers a solution to all your food frustrations with only a short read. You don’t have the time, energy, or money to go on another diet. Your brain and your body can’t take it anymore. According to Time Magazine, the diet industry is worth $66 billion. That’s your hard-earned cash. It represents broken promises and the hope of millions being shattered over and over again. I’ve had enough, have you? There will always be other diets, variations of the same diet, or new weight loss fads. You could totally go down that path…again. But, you realize what you’re doing right now isn’t working, and it’s not making you feel better. In fact, it’s making you feel worse! So let’s try something different. Let’s go down a different path. Food freedom is a reality for you, I promise. My process only requires your brain, your body, and sometimes a piece of paper and a pen. You can literally do my method anywhere and at anytime. Yep, that means you can go on vacation, eat out with friends, and even have dessert. I don’t want to live a life where I don’t get to do those things! Do you? This isn’t another long, exhausting list of food you’re forbidden to eat. This is a long-term solution to all things food- and body-related. You’ll never have to go on another diet again. That’s right: purchase it, and if you are not completely happy, I will refund your money within 2 business days. That’s how much I believe in this. Join me in the anti-diet revolution, where your success isn’t measured in pounds but in how great you feel about your body. Are you finally ready for Food Freedom?